Riverside Regional Jail is seeking full-time Jail Officers to provide custody/control of inmates. 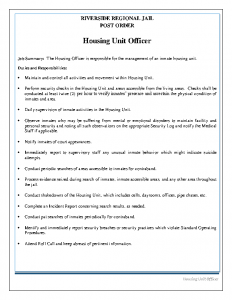 Duties include ensuring conformity with rules and regulations, governing the conduct and behavior of the inmate population and staff, assuming responsibility for the security and welfare of inmates, as well as preparing various reports, logs, and documents. Minimum Qualifications: Must possess a high school diploma or G.E.D. and a valid Virginia driver’s license. Incumbent must be a U.S. citizen and at least 18-years of age, as well as be able to work weekends, holidays, and rotating shifts. Incumbent must not have been convicted of a felony. Experience in a Jail or corrections facility with a public, private, or military agency preferred but not required. Academy certified applicants will receive an additional $2,600. College Degree Incentive Program after completion of probation includes an additional $1,000 for Associate’s, $1,500 for Bachelor’s, and $2,000 for Master’s degree. Tuition Reimbursement Program after completion of probation includes $1,500 for Undergraduate studies and $2,500 for Graduate studies per year. 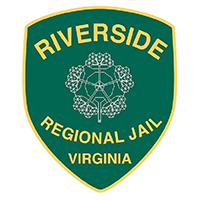 To apply, submit a completed Riverside Regional Jail application. An application may be obtained from the Richmond/Petersburg V.E.C., the Jail site, or by accessing our website at www.rrjva.org. Resumes may be included, but will not be considered in lieu of a completed Jail application. Office hours are Monday through Friday, 8:00 a.m. to 4:30 p.m. For additional questions, contact the Human Resource Office at (804) 524-6600.